UFC Fight Night 67 is just hours away, as the promotion heads back to Brazil for another evening of MMA (Mixed Martial Arts) action. The headlining duo are welterweight staples Carlos Condit and Thiago Alves. It’s the first trip back to the octagon for ‘The Natural Born Killer’ since his UFC 171 TKO loss to Tyron Woodley, having undergone successful surgery for his torn ACL sustained in March 2014. 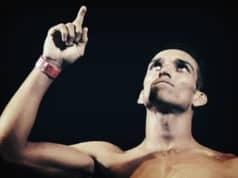 There’s a featherweight rematch between Nik Lentz and Charles Oliveira as co-main event, with ‘Carny’ hoping to avenge what was a pretty nasty no-contest beatdown from his Brazilian foe. Alex Oliveira and KJ Noons will do battle at lightweight, in a fight that could easily provide the type of fireworks that MMA fans love. So who stands to gain the most in Brazil tonight? A big win for ‘CC’ in his comeback fight could up his stock massively, a win for Alves would obviously be huge, but I feel ‘The Natural Born Killer’ would gain so much more momentum considering his pedigree and past performances in the octagon, ‘The Pitbull’ however, may have more on the line than we know. The Brazilian banger will be fighting on home soil at UFC Fight Night 67, but there’s more than impressing the crowd on the line tonight. A loss to Condit would likely end Alves’ chances of ever competing for a UFC title again, and his reputation may take a dink if he is suspected of using PED’s (performance enhancing drugs). Keep an eye on Lucas Martins and Mirsad Bektic, as that fight has FOTN written all over it. American Top Team’s (ATT) Bektic has been on fire as of late, and his 9-0 record speaks for itself, as he takes on Chute Box prospect Martins. ATT vs Chute Box, reminds me of the old days! Check out the UFC Fight Night 67 video roundup, right after the full fight card below!